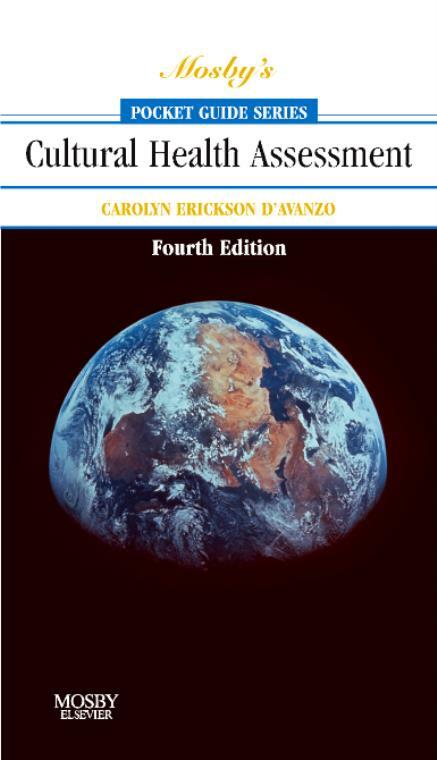 With all of the cultural and ethnic information that could affect patient and family care, POCKET GUIDE TO CULTURAL HEALTH ASSESSMENT, 4th Edition is the perfect portable yet complete reference. This guide discusses the clinical implications of ethnic populations from over 170 countries with a wealth of information on each-from languages spoken to health care beliefs and practices to eye contact. Ideal for everyday use, this handbook is the most comprehensive and portable resource on the market for patient care. D'Avanzo, Carolyn Associate Professor, School of Nursing, University of Connecticut, Storrs, CT.